Interviews taken by appointment only. Our Express Employment Professionals Office in Greencastle, Pennsylvania is a locally owned and operated full-service staffing agency that provides jobs throughout the South Central PA and Western MD area and workforce solutions to the top local employers in our communities. We exceed expectations by unifying the staffing services we provide to businesses in our community through assisting quality job seekers in finding exceptional employment opportunities. We recruit our candidates in our community whenever possible, which has proved to show strong attendance rates and high conversions of temporary to full-time employment offers made to our associates. Express Greencastle Associates have a variety of job options available to them, including one day assignments, temporary or temporary to permanent positions, evaluation hires and direct/professional placements. Our Express Greencastle Team shows a true passion in their commitment to recruiting, screening and placing only the most qualified candidates in our area. Combining our central location with our local consistent recruitment efforts, it's easy to see the value of our exceedingly competitive advantage! We are proud to be Franklin, Adams and Washington County's premier staffing company that is helping people meet their employment needs and goals. a Million People Back to Work! Call one of our local Staffing Experts today! Express Greencastle wants to help you with your staffing situation! Our team of certified Staffing Consultants are professionally trained and here to assist you in your efforts to cut costs and save your business time. With the support of a global corporation and a local network of qualified applicants in Greencastle, we have the perfect combination of services and resources to staff any company! View our Employers page to find out more! Our Certified Staffing Experts are here to help you get hired, whether you are looking for a new job, a better career, or just some extra cash! We use a four-step hiring process that is efficient and thorough yet simple and quick! We search all of our job openings to find employment that best fits your needs, availability, and talents. We offer assistance with a range of employment options including: one-day assignments, temporary positions, evaluation hires, and direct/professional placements.View our Job Seekers page to find out more. Visit our job openings page for the full list of jobs we offer in the Greencastle area! "Express Greencastle prides itself on being large enough to meet your needs, and small enough to care." 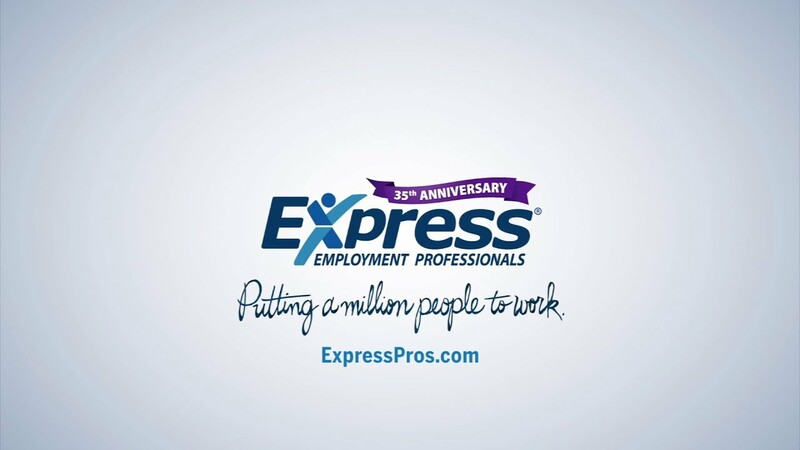 Express Employment Professionals is one of the top employment agencies and staffing companies throughout the world and our Greencastle, Pennsylvania office is THE top staffing agency to work with in our area. We work vigorously every single day to assist people in their local job search here in Greencastle and provide workforce solutions to small and medium-sized businesses throughout the Franklin, Adams and Washington County areas. Our Local Express office provides a full range of employment opportunities to include full-time employment, part-time employment, and also temporary jobs through various workforce industries, including Professional, Light Industrial, and Office Services. Our Mission is to provide professional and quality workforce and human resource management solutions to businesses throughout South Central PA and Western MD by utilizing our international franchising network that provides benefits and resources for our Associates, clients and local communities that remains unsurpassed by competitors. Our Vision is to help as many people as possible to find great jobs in the South Central PA and Western MD area by helping as many local companies as possible find exceptional employees for their businesses. Our success has always been determined by the quality of our associates that we send out to our local top-of-the-line clients in our beautiful community of Greencastle, PA. Our ISO:9000 certified procedures combined with our experienced, motivated, and passionate certified recruiting staff assures our clients that we deliver reliable, committed and qualified workers that meet their needs and exceed their expectations. We are experts in our industry and our local employment market making us well-positioned to partner with Franklin County's premier employers as we continue to respect people and impact business.